In a decade when the game has been stalked by the spectre of match-fixing , it should be remembered that it is not a modern phenomenon. Cricket has been inextricably linked with betting since its early days - gambling was one reason it took a hold in the public's imagination in the late 18th and early 19th centuries, and the stakes were often, by modern standards, massive. But where there is money at stake in any game, dishonesty often follows. And almost 200 years ago, the career of William Lambert, then one of England's most famous players, ended in disgrace after he was accused of not trying in a major match. In the first few years of the 1800s the very integrity of the game was being questioned (some things never change). Bribery and corruption were widespread, and bookmakers were quite blatantly operating at major grounds. Contemporary accounts refer to players being openly approached with promises of quick fortunes. The preponderance of single- or double-wicket matches made fixing the outcome all the easier, and brawls between gamblers - and on occasion players with a stake on their own game - were not uncommon. The authorities decided that action was needed, and the high-profile Lambert was the fall guy. In 1817, he was in his prime. In May he became the first man to score a hundred in each innings of a first-class match, playing for Sussex against Epsom, a record that stood for 76 years. But later that summer he also took part in a farcical game between England and Nottingham, in which both sides had agreed to lose. By all accounts the game bordered on the surreal, as each team contrived to find different ways to outwit each other and force victory on their opponents. Wickets were surrendered, overthrows liberally gifted, and catches spurned. Nottingham eventually won the game - or perhaps more accurately, England did a better job of losing it - but Lord Frederick Beauclerk, a team-mate of Lambert's who was not in on the fix, was incensed, not least because he had broken a finger trying to prevent a deliberate overthrow by one of his own side. Beauclerk was an altogether unpleasant character. He was selfish, hypocritical, and reputed to be a direct descendant of Charles II and Nell Gwynne. Described by Benny Green as "an unmitigated scoundrel", he was also the vicar of St Albans, where his sermons were legendary for their dullness. But he was an excellent cricketer - in 1806 he scored 170 for the Homerton Club against Montpelier, then the highest score ever made - and a leading figure in MCC. Lambert had crossed Beauclerk seven years earlier in a single-wicket match at Lord's. On that occasion Beauclerk had accused him of unfair play after Lambert had deliberately bowled wides (at that time a legal delivery) to deprive him of victory. To add insult to dented pride, Lambert was later seen leaving the ground with a brown-paper parcel said to contain a stash of banknotes. Tales of Lambert accepting money abounded, but he was hardly an exception at that time. At Lord's in 1810 and at Nottingham in 1817, the man who hired Lambert in opposition to Beauclerk was George Osbaldeston, who could loosely be described as a gentleman, and so revenge was out of the question. But Lambert was a professional, a much easier target. 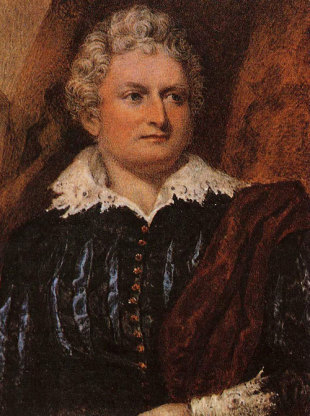 Beauclerk set about collecting evidence, and with his connections he soon had enough to sink Lambert, although the specific charge didn't relate to accepting money but that he hadn't tried during that England-Nottingham match. Beauclerk took his case to the MCC and it banned the hapless Lambert from playing at Lord's for life, effectively ending his career overnight. Those who ran the game chose to make an example of one of the professionals, but the reality was that some of the so-called aristocracy who patronised cricket were as heavily involved in staking large sums on the outcome of games, and of seeking to influence the result by fair means or foul. The problem didn't end with Lambert's expulsion. If anything it got worse, and by the 1820s the reputation of cricket had slid further towards the gutter. The MCC finally acted, banning bookmakers from Lord's in the 1820s, and they didn't return until 1973, and slowly the game got its house in order. Match-fixing continued to plague cricket for most of the 19th century, although not to the extent that it had. As late as 1873, Ted Pooley was suspended by Surrey for accepting a £50 wager that they would lose to Yorkshire. Lambert withdrew to Sussex, where he continued to play club cricket, while four years later Beauclerk ended the career of another leading player - John Willes - after insisting that he be no-balled for roundarm bowling. He also got his revenge against Osbaldeston, who resigned his MCC membership in a fit of pique in 1822 only to decide he had been too hasty and quickly re-apply. But Beauclerk gleefully and publicly blackballed him. As for Beauclerk, he went on to be president of MCC in 1827. Ironically, in his twilight years he boasted that he used to make 600 guineas a year from betting on cricket, primarily on matches he was playing in. He remained an authoritative, if widely disliked figure, until his death in 1851.